Don’t miss this weeks top offers at Tamworth! Enjoy a game of bowling for just £4pp, per game from the 8th - 26th April, Monday - Friday between 3pm and 6pm. Online Exclusive Offer. Bank Holidays Excluded. Start earning rewards with us at Namco Funscape! Offers worth getting out of bed for! Beat the crowds with bowling before 12pm every day during term time and school holidays. *Excludes Bank Holidays. T&C's apply. Get two games of bowling for you & three others! (as long as one member of your party is under 16) *Bank Holidays excluded. Subject to full T&C's. Three games of bowling. Every Wednesday & Sunday night - 6pm ‘til close. *Bank Holidays Excluded. Subject to full T&C's. Enjoy two games of bowling & a drink at the bar. *Offer available from 9pm every Friday and Saturday, Bank Holidays excluded. Offer applies to selected drinks only. Subject to full T&C's. 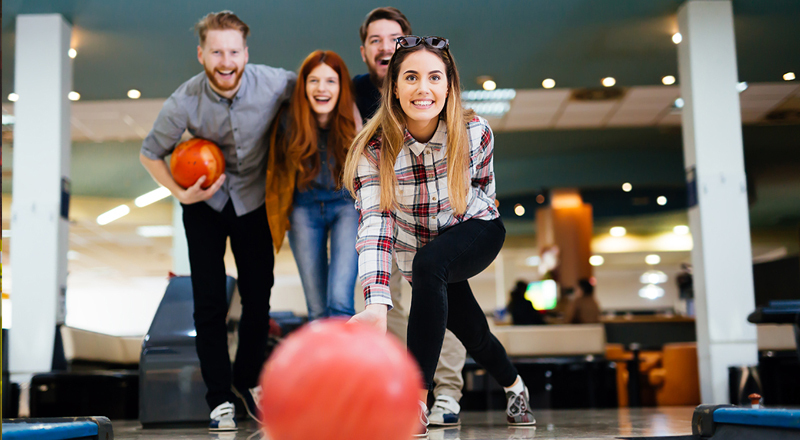 Start your weekend early & enjoy 2 games of bowling for £6 each, every Thursday from 6pm. Plus, join the fun with our live gameshow & win great prizes. * T&Cs apply. Enjoy one hour bowling and a round of golf for just £39.95. *Offer available from 10am everyday, maximum of 6 people. T&C's apply. Lots of parties, choose what tickles your fancy! Fancy a night out with friends? We offer a variety of packages to suit all pockets when it comes to a night out with the grown-ups. Looking for a fun kids birthday? Namco Funscape Tamworth put on the best parties around, at great value prices. We’re now offering Teddy Mountain Birthday Parties, a great party activity plus a Teddy for every child. A day filled with ten-pin bowling, crazy golf and arcade games is a sure-fire route to rumbling tums. Thankfully, fun-loving families can curb hunger pangs thanks to Namco Funscape’s stylish new restaurant, Clyde’s Bar and Grill, which has opened its doors this month at the Castle Grounds venue. Guests are able to tuck into chicken wings and crispy squid, appetite-defeating BBQ platters, pizzas and burgers, to name just a few options. Dessert lovers will also be spoilt for choice, with rocky road, waffles, raspberry cheesecake and much more on the menu. Clyde’s Bar and Grill seats 100 diners and features bright, colourful décor with cosy booths and contemporary lighting to complement the venue’s appeal to guests of all ages. Within our Tamworth site, we have fun soft play areas, designed just for children. 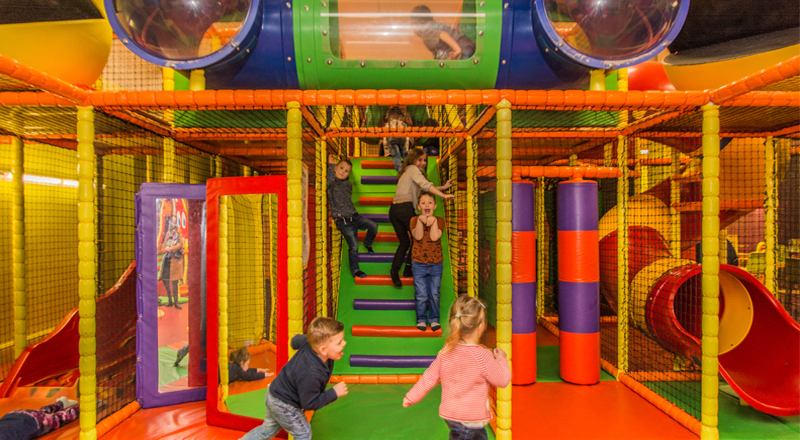 The ideal place for little ones up to eight years, they can run around and have loads of fun in a safe and secure indoor environment, while mums and dads enjoy a cup of Costa Coffee between 9:30am and 6pm every day. Off Peak £4.50 Mon to Fri | Peak £5.50 Sat & Sun (incl Bank Holidays & School Holidays) | parent & toddler sessions £3.95 Tues, Wed & Thurs | Under 12 months get in free. We also hold very popular children’s birthday parties here. Click here to view our soft play leaflet. Enjoy all your favourite entertainment and games! 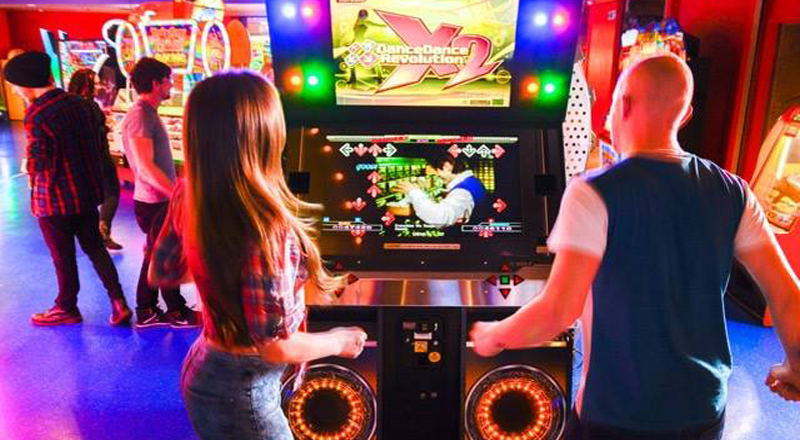 Shoot’em-ups, Racecar simulators, cuddly toy claw cranes – Namco Tamworth is packed with the most advanced and cherished video and arcade games. We sell video game Nam Tokens for just £1 – ask for special bulk-buy offers. Many of our machines also give out tickets for the prize shop, with a fantastic range of prizes, from key rings to games consoles. And you can win prize tickets on bowling too. 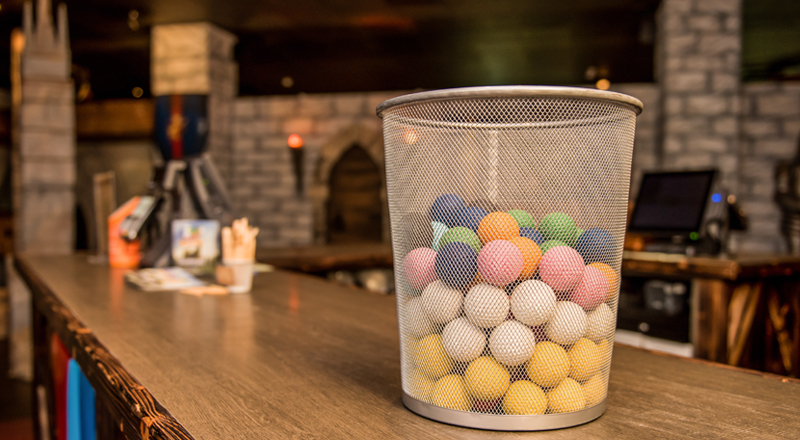 Discover our new 18 hole Adventure Golf with a medieval twist. The new attraction includes nine indoor and nine outdoor holes, a bottle bar and a party room. Castle Adventure Golf joins its state-of-the-art ten-pin bowling alleys, Pacman soft play area, arcade games, restaurant and bar. Available for family days out and private hire, including children’s parties and corporate events. Opening Times Monday to Friday from 11am till late Saturday & Sunday from 10am till late. Admission Prices 18 Holes Adult £6.00 Child £5.00 (under 16s) Family Ticket £19.95 (2 adults & 2 children). 36 Holes Extra £2 per person. Namco Funscape bowling - perfect for all occasions, family, friends, parties, events. Let the good times roll at Namco Funscape, Bowling, fun and games, plus lots more! Take part in our rebranded gaming ghost hunt. 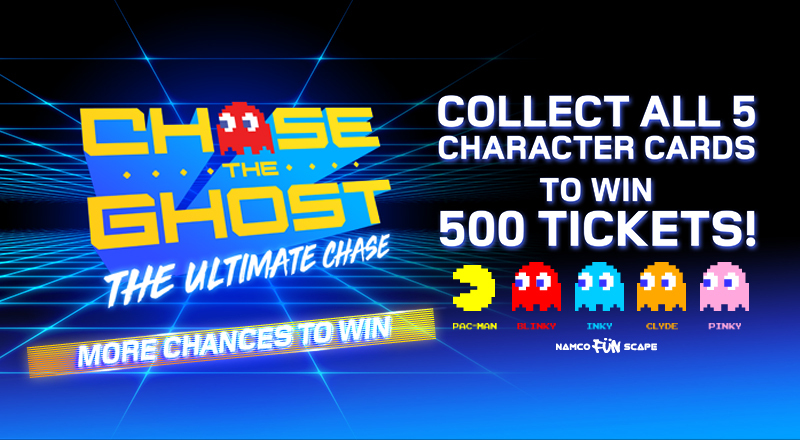 Simply choose your favourite arcade game to get started; any machine displaying the Chase the Ghost sticker is included in the challenge. Keep playing until you find a character card and collect them all to win 500 tickets. Pac-Man, Pinky, Clyde, Inky and Blinky are up for grabs. Remember to collect the full set of character cards to win. All character cards valued at 20 tickets, except Blinky cards which are valued at 100 tickets. Namco Funscape Welcomes Clyde’s Bar & Grill to Tamworth! A day filled with ten-pin bowling, crazy golf and arcade games is a sure-fire route to rumbling tums. 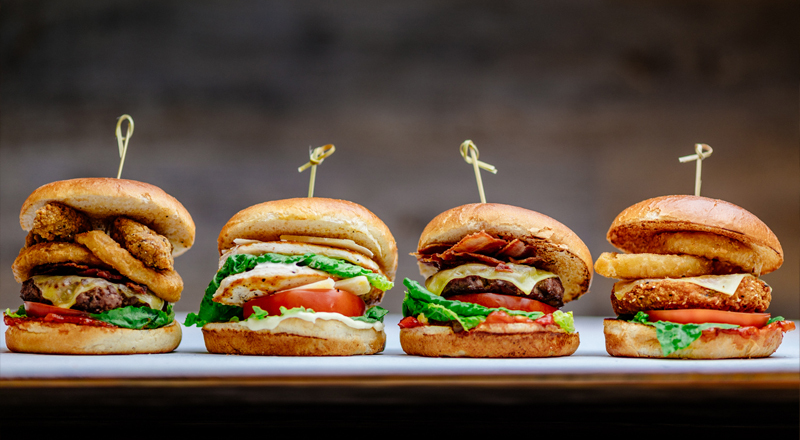 Thankfully, fun-loving families can curb hunger pangs thanks to Namco Funscape’s stylish new restaurant, Clyde’s Bar and Grill, which will open its doors early July at the Castle Grounds venue. Guests will be able to tuck into chicken wings and crispy squid, appetite-defeating BBQ platters, pizzas and burgers, to name just a few options. Dessert lovers will also be spoilt for choice, with rocky road, waffles, raspberry cheesecake and much more on the menu.